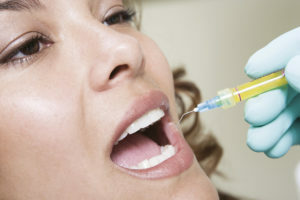 If you need an emergency dentist in Cooper City, Miramar, or Southwest Ranches, we will always be standing by to help. Our emergency dentists fully understand the magnitude of these situations, and we make time to see patients that are experiencing a great deal of pain. We know how to ease the suffering quickly and plan the next steps that lead toward a permanent solution. In addition to the cities that we have already mentioned, we also assist people that need an emergency dentist in Pembroke Pines and Davie, Florida. We respond to a number of different types of dental emergencies. If you have an excruciating toothache, in most cases, you will need a root canal. A Miramar area emergency dentist from our practice will get you into the office rapidly and evaluate the situation. If a root canal is needed, we can initiate the process to relieve the pain. Subsequently, a permanent crown can be placed over the area, and cosmetically, it will look just like the real thing. Painful swelling is another type of dental emergency that a Radiant Expressions emergency dentist can address. You should not ignore swelling and tenderness with the hope that it will go away, because there has to be a cause that must be addressed. Even a loose tooth should be looked at as an urgent matter. And of course, if a tooth has been knocked out for some reason, you should schedule an appointment with one of our emergency dentists as quickly as you can. These are a handful of the different emergency scenarios that we can address, but there are a number of others. We urge you to err to the side of caution and seek the assistance of a Radiant Expressions Pembroke Pines-Davie-Cooper City emergency dentist promptly if you are experiencing any type of significant dental distress. When it comes the financial side of things, we accept many different forms of dental insurance. Our prices are affordable, so your share should not put too much of a strain on your budget if you have insurance coverage. Plus, we offer easy financing options, so you can always get the dental care that you need without parting with a lot of cash. To put it simply, anyone that needs an emergency dentist in Southwest Ranches, Miramar, Pembroke Pines, Cooper City, or Davie can always rely on our practice. Whenever you need us, we can be reached by phone at 954-589-0292.